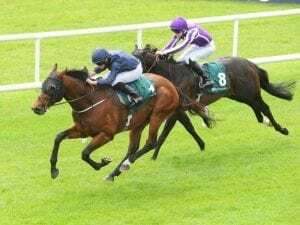 Melbourne Cup favourite Yucatan Ire has galloped with his Aidan O'Brien-trained stablemate The Cliffsofmoher in preparation for the Melbourne Cup. October 30, 2018 2:51 pm. 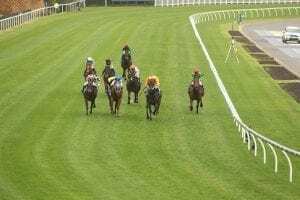 Can Yucatan break the Melbourne Cup favourites curse? October 30, 2018 1:41 pm. 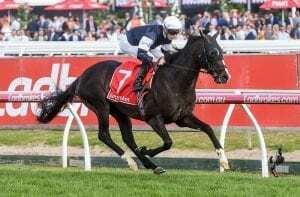 Aidan O'Brien-trained stablemates Yucatan and The Cliffsofmoher have galloped at Werribee in preparation for the $7 million Melbourne Cup at Flemington. October 30, 2018 8:46 am. October 25, 2018 4:51 pm. October 25, 2018 2:54 pm. 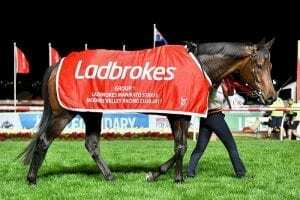 TJ Comerford, the travelling foreman for Irish trainer Aidan O'Brien, is awaiting news whether Rostropovich and Idaho will be runners at Moonee Valley. October 21, 2018 5:09 pm. October 21, 2018 4:42 pm. September 30, 2018 11:08 pm. 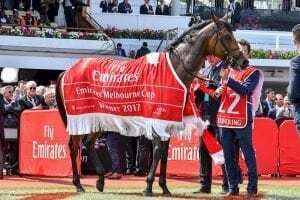 Kew Gardens, Flag Of Honour and Thomas Hobson have been given Melbourne Cup weight penalties for their respective last-start wins in the northern hemisphere. September 17, 2018 6:29 pm. 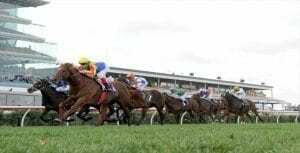 Melbourne Cup entrant Kew Gardens has won the English St Leger at Doncaster to give Aidan O'Brien a sixth win in the world's oldest Classic. September 16, 2018 10:29 am. Trainer Aidan O'Brien has paid tribute to grand stayer Order Of St George who has been retired to stand at stud. September 12, 2018 7:13 am. Aidan O'Brien has welcomed a Group Two winner at York after a trying time with a virus hitting his stable. August 24, 2018 4:40 pm. June 24, 2018 8:05 am. Forever Together has broken her maiden status with a strong staying performance to win the Oaks at Epsom. June 2, 2018 9:00 am. 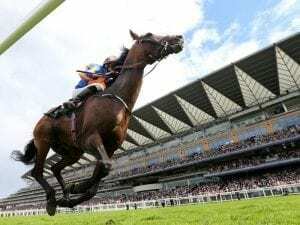 Aidan O'Brien has some concerns about the soft ground for his five runners in the Oaks at Epsom. June 1, 2018 9:24 am. Saxon Warrior heads a field of 12 to give trainer Aidan O'Brien a seventh Derby at Epsom. June 1, 2018 6:42 am. May 27, 2018 6:12 pm. 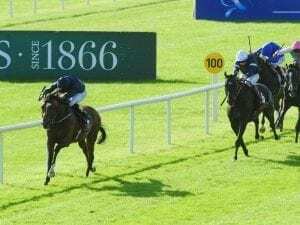 Trainer Aidan O'Brien's decision to switch Rhododendron back to a mile has proved a winning tactic in the Lockinge Stakes at Newbury. May 20, 2018 10:15 am. 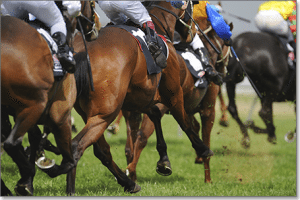 Aidan O'Brien has taken the two feature races at Chester, with Rostropovich and Idaho giving him a big-race double. May 11, 2018 7:21 am. Magic Wand has led all the way to give trainer Aidan O'Brien and jockey Ryan Moore victory in the Cheshire Oaks. May 10, 2018 12:36 pm. 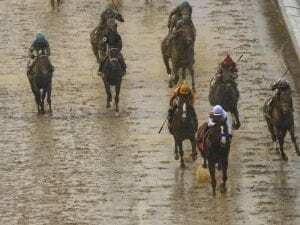 Aidan O'Brien says the sloppy conditions and a bump at the start of the Kentucky Derby at Churchill Downs played against Mendelssohn. May 7, 2018 12:09 pm. 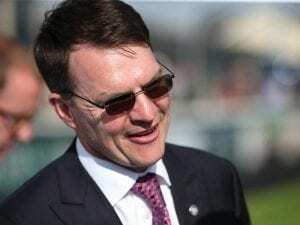 Trainer Aidan O'Brien has won an unprecedented ninth 2000 Guineas at Newmarket with Saxon Warrior. May 6, 2018 10:45 am.